Your First Communion only happens once and should be celebrated with a special gift! Choose Nomination jewellery for quality that’s guaranteed 100% Made in Italy. 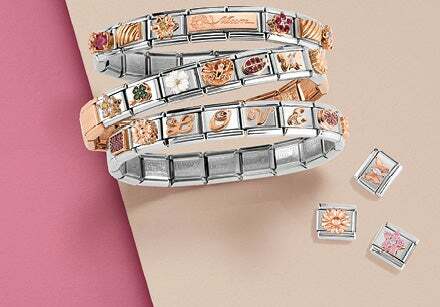 Top quality materials are used to create, for example,stainless steel bracelets, sterling silver earrings, and gold rings. 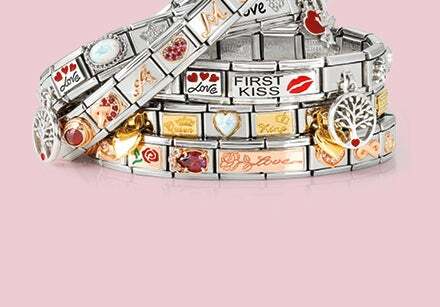 Nomination has bracelets, necklaces and earrings that are very appealing to boys and girls. Choose a bracelet with gold or silver charms like those from the Gioie collections: jewellery that’s simple and tasteful with charming and adorable pendants shaped like animals, good luck charms, and angel wings. Or you could build a customised bracelet with Composable and choose the Links and charms to create your special congratulatory message: among Nomination’s Links you’ll find angels, crosses, the host and lots of other First Communion symbols. A perfect gift idea for a little girl are delicate earrings from the Angel Collection: stud or drop, the sterling silver earrings from this elegant line are decorated with angel’s wings and sparkling Cubic Zirconia gemstones. Among the selection of stud earrings dedicated to our littlest young ladies you’ll also find Flair hearts in silver and Cubic Zirconia, or ones in stainless steel and gold with letter initials and other symbols from the MyBonBons collections. The MyBonBons line also has stainless steel and gold necklaces with symbols celebrating First Communion, like the angel charm. The Gioie Collection includes beautiful rose gold and sterling silver jewellery adorned with small charms decorated with Swarovski Zirconia that’s perfect for little girls.